Carom or Ajwain (Karpooravalli) is a leafy herb that is commonly used as for medicinal as well as culinary purposes in India. It makes a great tasting bhajjiya when coated in channe ke atta and deep-fried! SEASONS: Carom is an annual plant in temperate climates, but grows as a perennial in Mumbai’s tropical climate. It can be sown and grown all year round. PROPAGATING: This plant is propagated from seed and cutting. It is slightly difficult to propagate through seed, but extremely easy through the latter method. GERMINATING: If you plan on germinating seed, then use a germination dish/seeding basket prepared with a mixture of compost and cocopeat. Seeds can be shown in shallow, 1/4 inch deep holes or scattered on the surface with a sprinkling of soil above. Place in semi-shade and spray water evenly. Spray your sown seeds daily until seedlings emerge in 7-15 days. PLANTING OUT: Plant out your carom seedlings when they are sturdy in stem and their first true leaves emerge, at about 2 weeks of growth. Choose medium-composted, well-drained soil that could be alkaline, mildly acidic or neutral, as this plant will tolerate different soil types. It does however, produce the richest foliage in alkaline soils that are not too rich in organic matter. If you are using cuttings, then choose sturdy, de-leafed stalks of freshly cut carom, planting them a few inches into the soil. You can use stalks obtained from the grocery store, if they are fresh and have not been refrigerated.You can plant your saplings/cuttings in direct sunlight or partial shade, and spaced about 6 inches apart to allow room for growth. Carom will grow well on open plots or in containers. NURTURING: Carom grows enthusiastically and requires very little nurturing besides watering and occasional pruning of dead leaves. It does not tend to get preyed on by insects or other pests. Do not over-water this plant, and let it enjoy good sunlight and water, and it will keep you in good company and fine seasoning for years to come. HARVESTING: Harvest tender, newer leaves as the plant grows. Carom will grow speedily and you will soon have lots to share with friends and family. It may be possible to dehydrate it for storage and later use, if you have a dehydrator machine. If not, it is almost impossible to properly dry this succulent herb in Mumbai’s humid climate. After a year’s harvest, or when stems turn yellowed and old, you can either keep growing it or choose to renew your crop with fresh cuttings from the older plant. In the latter case, uproot the old plant, compost, replenish the soil and use that space for growing fruiting or rooting veggies next. Carom/ajwain plants at two months – more than I can eat! Very good article. It has removed my confusion on Oregano vis-a-vis Ajwain. Is this plant available in nurseries of Mumbai and Kolkata? Thanks Shaukat! 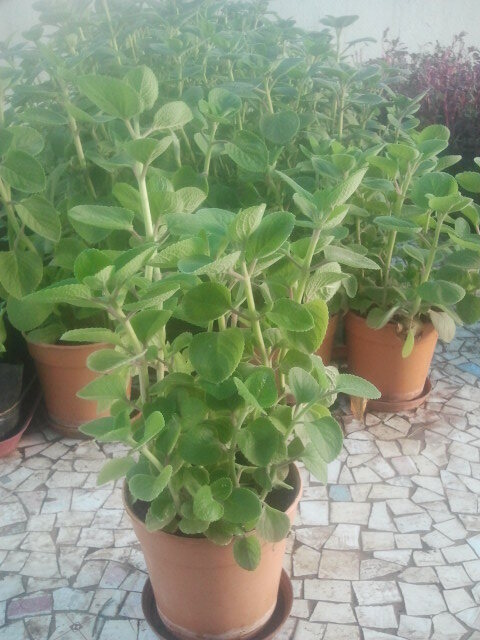 Oregano plants may not be easily available at nurseries. The best solution to getting one is to buy fresh, unrefrigerated oregano from upmarket food stores and then plant out their sturdiest stalks in soft, sunlit soil so it takes root and propagates. Good luck! yes its available in Mumbai. Hi Gururaj…am not sure what crops you are referring to…. Ajwain plants can be safely trimmed at the stem between leaf nodes. Insert cut stems in soil immediately and water for new plants to take root. Ajwain plants are usually very hardy and not prone to pest attacks. Are you sure your plant is getting at least 6 hours of sunlight a day? If pests continue, please trim the leaves and stems down to sturdy stalks. It will regrow from there. Alternatively, take cuttings shorn of leaves, plant in a sunny spot and water well. They will catch root soon. Thanks for writing in. Unfortunately this blogsite does not have a marketplace. Please try connecting with farming groups on facebook for this. Hi me Ruqia I have grown Ajwain seed but after sometime they destroyed.i will have to done MPhil research on Ajwain but it doesn’t grow.kindly help me which conditions given to sowing seeds of Ajwain. Hi, are there different varieties of ajwain plants? The plant shown in the picture, is it the same plant from which carom seeds are harvested? Yes, the seeds are harvested from a different variety of carom plants. 1. Can i put ajwain seeds in pot directly to grow this tree? 3. Will the ajwain tree available in market and grown from ajwain seeds would be same? Yes, well-preserved ajwain seeds will grow in a sterile and clean potting medium. I would estimate saplings to emerge within a couple of weeks. I have not seen ajwain leaves being sold in any Mumbai markets yet. 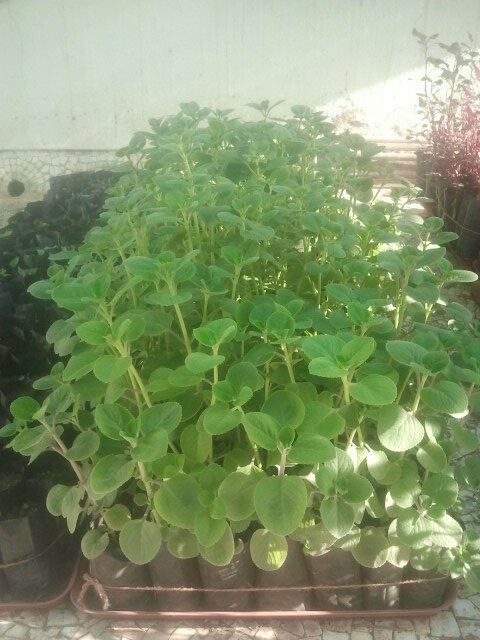 However, the ajwain plant is readily found in Mumbai nurseries and once you get one, you can propagate from cuttings very easily, more easily than from seed. how can the leaves be used in cooking ? we normally use seeds. Ajwain leaves are usually eaten as a tea-time snack, fried as pakoras in a chane ke atta batter. I’ve tried that. They’re pretty yummy! Hi Atul, thanks for your inquiry. We’d be glad to supply. Our office will be in touch. Have a nice day! Is this ahwan or cuban oregano/mexican mint/indian borage? The leaves look like that only..